XDrive40e iPerformance trim. ONLY 6,248 Miles! Navigation, Heated Seats, Moonroof, iPod/MP3 Input, CD Player, Onboard Communications System, All Wheel Drive, Aluminum Wheels, Back-Up Camera, Power Liftgate. AND MORE! Navigation, All Wheel Drive, Power Liftgate, Heated Driver Seat, Back-Up Camera, iPod/MP3 Input, CD Player, Onboard Communications System, Dual Moonroof, Aluminum Wheels, Keyless Start, Dual Zone A/C, Heated Seats Rear Spoiler, MP3 Player, Keyless Entry, Remote Trunk Release, Privacy Glass. 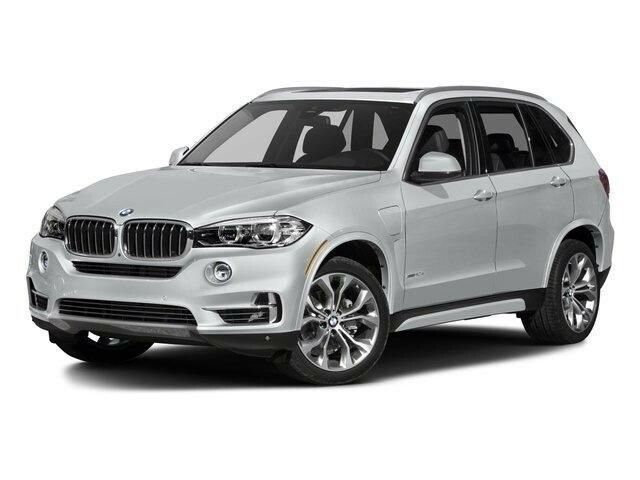 BMW xDrive40e iPerformance with Dark Graphite Metallic exterior and Black interior features a 4 Cylinder Engine with 313 HP at 5000 RPM*. newCarTestDrive.com explains "Not only is the interior warmly appealing, it provides abundant space for five adult occupants. Cargo space is plentiful, totaling 23 cubic feet with rear seatbacks up, expanding to 66 cubic feet when they're folded.". Pricing analysis performed on 6/20/2018. Horsepower calculations based on trim engine configuration. Please confirm the accuracy of the included equipment by calling us prior to purchase.